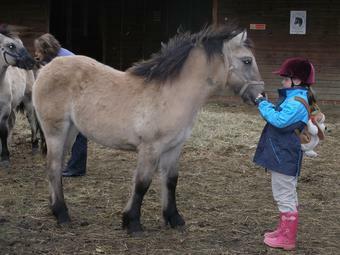 Please scroll down for a list of future events/downloadable booking forms and news/results from previous events held by the Anglia area of the Highland Pony Enthusiasts Club. 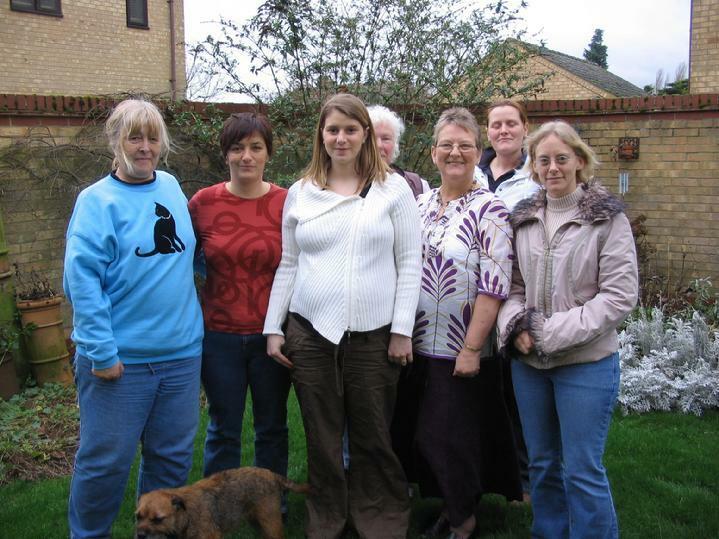 From left to right: Marsha Drury, Helen White, Catriona Carnegie, Ann Tallowin (hiding in the background), Rosemary Smith, Nicki Barfield and Emma Smith. 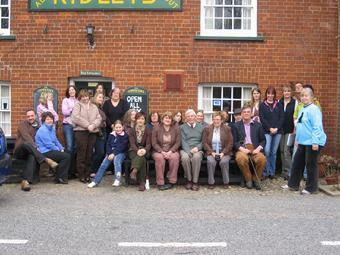 Catriona Carnegie is the Area Representative for the new West Anglia Highland Pony Enthusiasts Group. 'Kate' got married in 2007 to Andrew Carnegie and they are expecting a baby in April. Kate first got into highlands when riding at a trekking centre on the Isle of Skye. 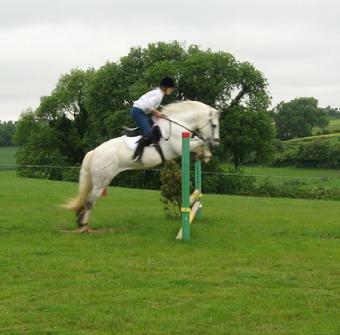 Kate fell in love with this ponies amazing character and of course then hooked on the breed the Talisker stud started to form and she now has 2 breeding stallions, 5 broodmares, several youngsters and ridden ponies and breeds between 3 and 4 foals per year. Hi I am Rosemary Smith you new Treasurer! I met my first Highland when Emma bought Molly. She was a small slate grey yearling whose head only just reached over the stable door. I fell in love with her at first sight! As I met Dave, my husband, while learning to ride, I guess horses have been in my blood for many years. I enjoy hacking out on Molly when I can but a lot of my time is spent as chief stable hand and 'gofer'. Looking forward to getting to know you all at this years get togethers. Hi I am Emma Smith your minutes secretary. I have loved horse and ponies for as long as i can remember, i bought my first and only Highland Pony when i was living in Scotland as i wanted a native that could live out all year round. Molly is now rising 10 and we have had many wonderful years together doing lots of fun stuff. Two years ago Molly was joined by Jameela my highland thoroughbred cross (AKA JJ the Jet Plane) who is a complete contrast to my quiet plod, i hope to back her this year. 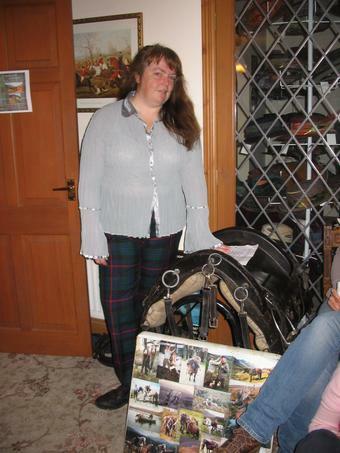 Marsha Drury one of the new area comittee members origionally a big fan of New Forest ponies converted over to Highland ponies when her daughter Kate Carnegie came into possesion of 'Ruaridh of Talisker'. Marsha now owns a highland gelding called Greadhaich of Talisker who is currently being shown under saddle. 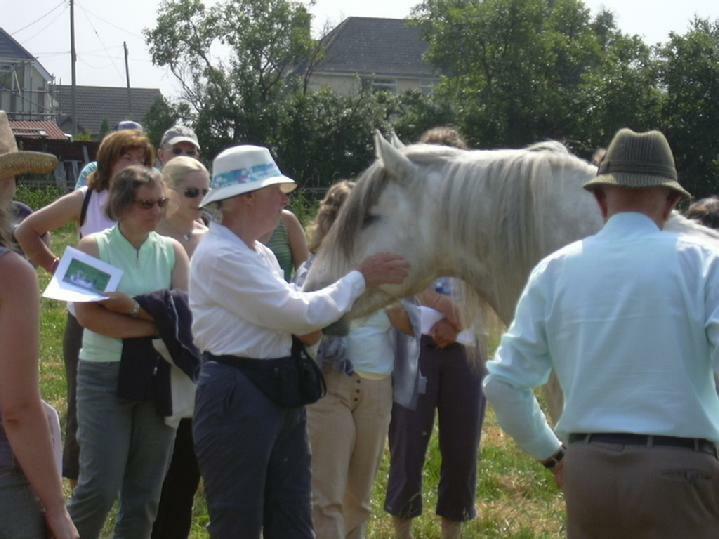 Spring Gathering - Saturday 18th February, 11.00am, Felstead School, Essex - With Guest speakers Kirsty Wylde on Le Trec, her experiences and how to get started, there will also be a talk from Simple Systems on feeding the native pony and a lunch. The Highland Pony Society stand, Kirstys pet portraits, Vanessa Scollerys bronze statues and a jewellery stand. Booking forms will be uploaded in due course. Burnham Beach Weekend - This will be held the last weekend in April, please contact us if you would like more info. Held on the beautiful sandringham estate this show is affiliated to the highland pony society and the highland pony enthusiasts club with breed classes for highlands, fells and dales.